Flowers have always held a unique fascination for us. Beyond their bewitching beauty, these marvels of nature also possess some pretty intriguing characteristics too. And if there’s one thing just as captivating as flowers, it’s fun facts about flowers. Not convinced? Then discover some amazing floral facts for yourself, as we explore the secrets of our favourite flora. No, really. And apparently that’s one of the many reasons why we like them! There’s beauty in symmetry, and from flowers to faces, our love of that runs deep. 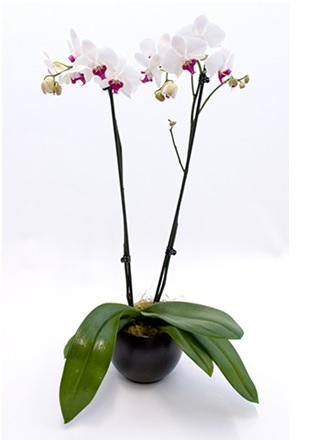 Orchids have what’s known as bilateral symmetry – just like our faces – meaning that if you were to draw a line vertically down the middle of the flower, the two halves would be a mirror image of each other. There’s still much we don’t know about these mysterious blooms too; scientists are constantly discovering new, ever more fascinating species, and many more remain undiscovered. Roses have been around for a long time. A really long time. These floral favourites have some pretty ancient roots, and we’ve been cultivating these blooms for millennia. It’s not only animals that make great fossils. And a fossilized rose, somewhere in the region of 35 million years old, was recently discovered in Colorado. Pretty amazing, right? Not only have they been around a long time, some roses have a rather extraordinary life span too. The world oldest surviving rose is said to be 1,000 years old. It resides near the cathedral of Hildesheim in Germany, and, according to legend, the bush is a symbol of the cities prosperity; as long as it flourishes so shall Hildesheim. 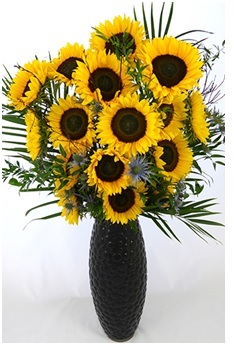 With their bright yellow petals, which radiate outwards like a fiery halo, sunflowers look like the sun. But that’s not the only reason for the ‘sun’ in sunflowers. They’re sun lovers too, and take the meaning of the phrase ‘sun-seeker’ to a whole new level. Sunflowers exhibit a behaviour known as Heliotropism. Simply put, this means they follow the path of the sun on its daily round, orienting themselves to bask in its rays. That’s not the only remarkable thing about these flowers either. Whilst they may look like one large flower, in reality this is merely illusion, and nothing could be further from the truth. Each sunflower head is actually composed of hundreds of tiny blooms – known as florets – which eventually mature into seeds! Is there anything as cool as a cactus? Probably not, and here’s why. 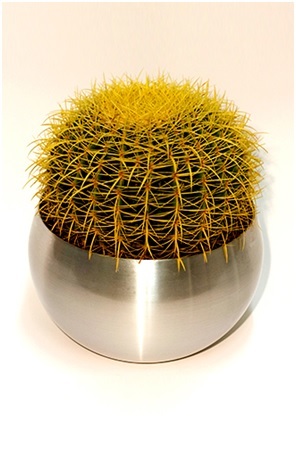 Cacti can be found everywhere from deserts and rainforests, the window-sill of your office. They’re a popular options for avid gardens, and the more horticulturally challenged alike too, thanks to their low-maintenance nature. But what’s most extraordinary about cacti is their amazing ability to not only survive, but thrive in harsh desert climes. How is this possible we here you ask? Well, it turns out cacti have developed some rather neat tricks over the years, that make desert life a bit of a breeze really. For example, they have extra thick stems, which act like a natural reservoir, allowing them to store water for long periods of time. Thanks to this surprising survival strategy, forget to water your cactus before you go on holiday, and you’ll probably still have a plant to come back to. For thousands of years lilies have been prized for their stunning, show-stopping flowers. These beautiful blooms make a delightfully elegant addition to any room or garden. But there’s a little more than meets the eye to these flowers too. Lilies are thought to have some pretty potent healing powers, and throughout history have been used for a variety of medicinal preparations. Which is rather ironic really, given that they’re also the flower of death in some cultures! 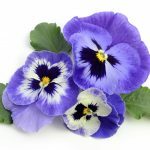 So there we have it, some fantastic facts about flowers. Hopefully this has given you a new-found appreciation for these beautiful blossoms. If you’re looking to bring a bit of inspiration to your office space, then here at Jungle World we believe there’s no better way to do this than with flowers. 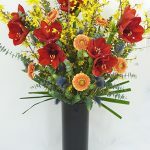 Our corporate flowers and plants can bring a little excitement and interest to any office and will make for a bright and beautiful addition to your work space. Want to know more about our services? Then get in contact with a member of our friendly team today, by giving us a call on 0208 968 8190.